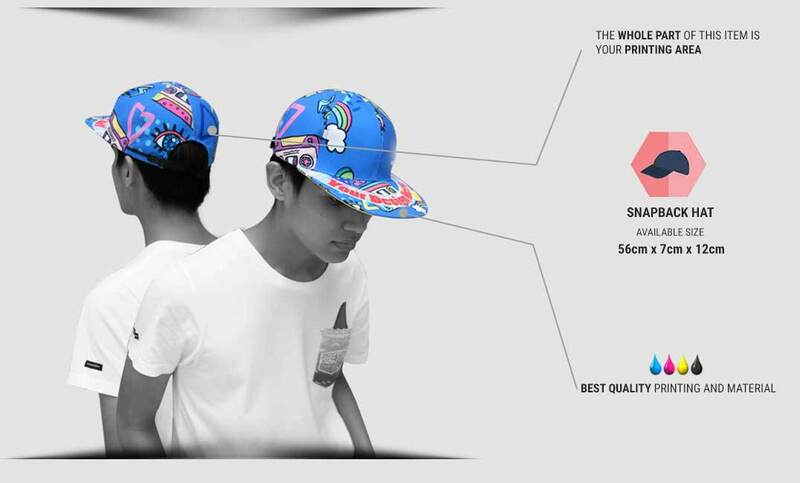 Snapback hat now taking the throne of the most popular hat. 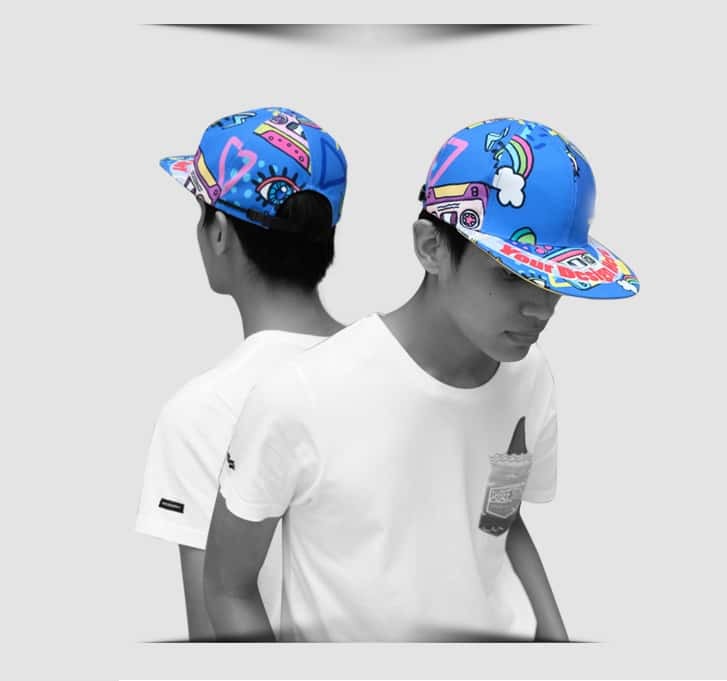 The straight and stiff, not curve, visor has become such a main differentiator of snapback among other hat styles. 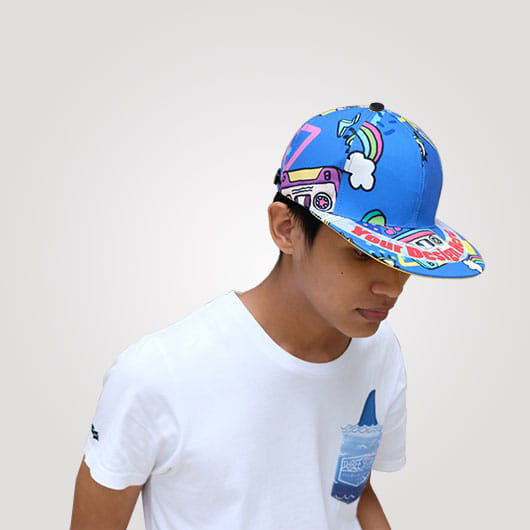 Youngsters are really down with this hip-hop style hat. This happens as many hip-hop singers wear this hat and slowly it becomes their iconic accessories to be worn in any casual occasions. 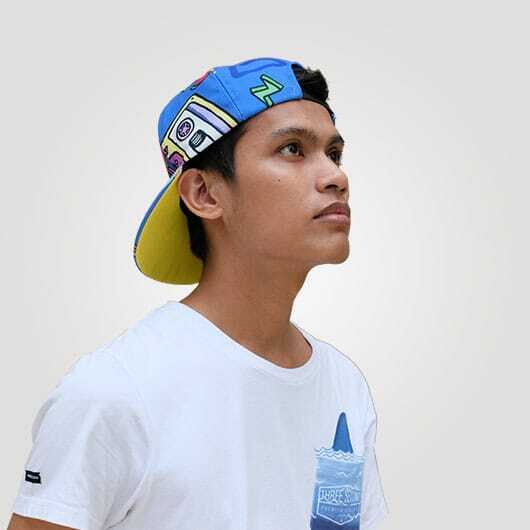 Our snapback hat made of high-quality polycanvas, a strong fabric that will make this hat such a durable fashion item. A plus point to be hung in your wardrobe. Equipped with an adjustable strapback that undoubtedly will always fit to your head. 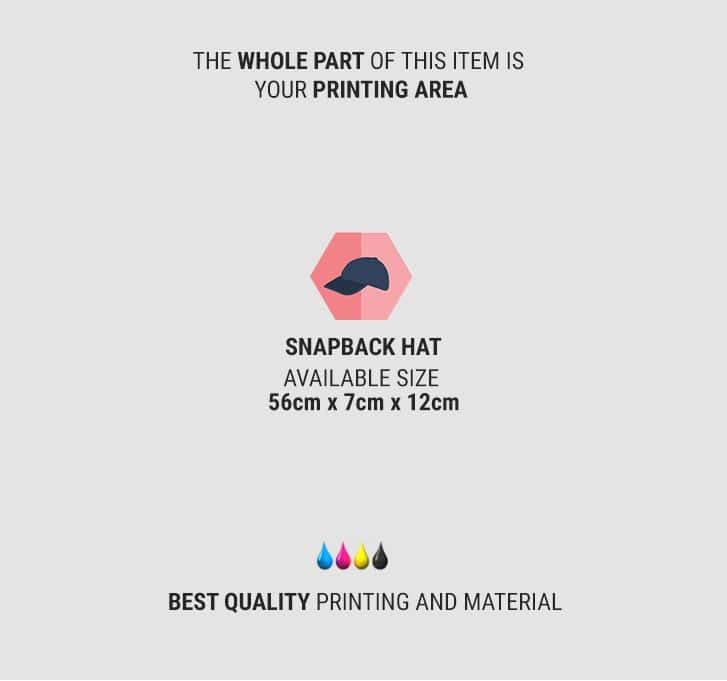 Furthermore, we use only the best quality printing ink that will be bounding with canvas perfectly so the color will not be easily fading. 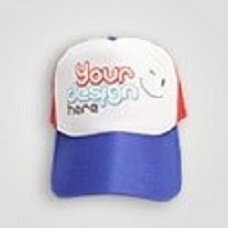 One thing, with custom you can make this snapback personalized to your style. 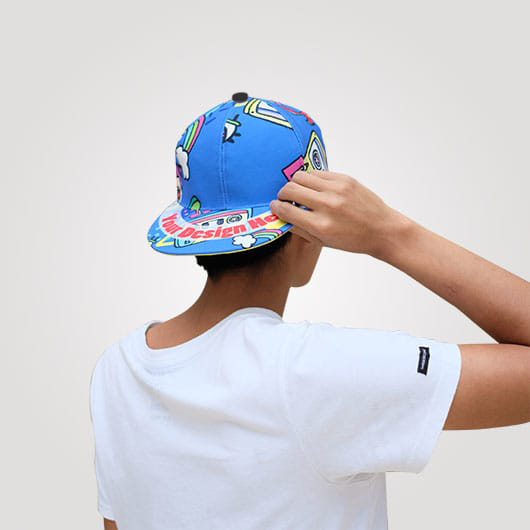 Any designs you like such pictures, texts, and patterns can be printed on this hip-hop hat. 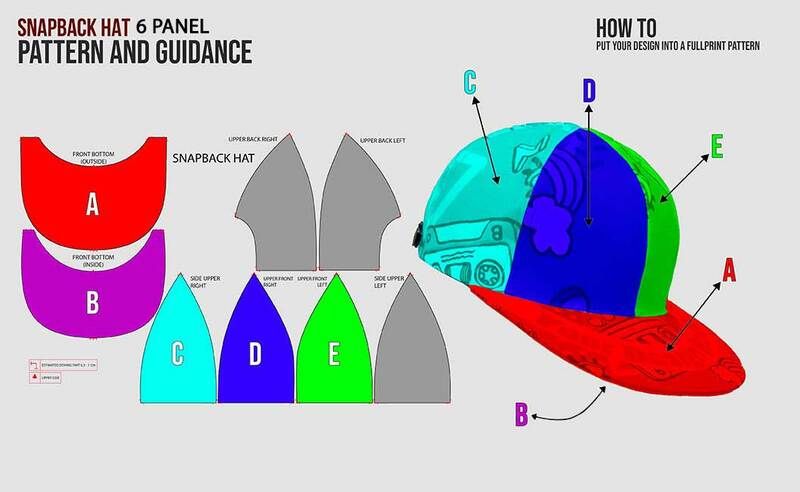 Access our simulator, upload your design, order, and your snapback will be produced immediately. Create yours today!